A vital part of raising awareness of asbestos among communities is creating a forum for discussion. 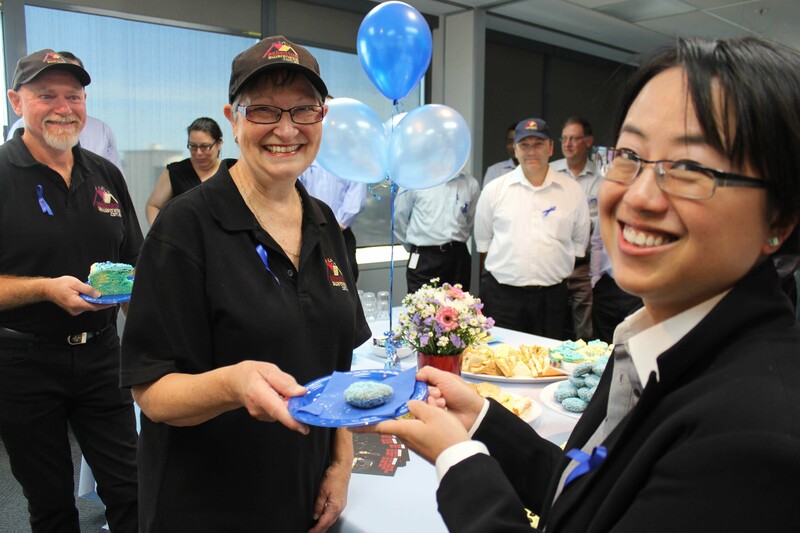 We’re inviting all Australians to hold a Blue Lamington Drive during Asbestos Awareness Month (1-30 November). The Blue Lamington’s bearing a colour similar to natural asbestos fibres are intended to raise awareness of the dangers of asbestos and to generate vital funds for the Asbestos Diseases Research Institute (ADRI) and support groups around Australia. Anyone can hold a Blue Lamington Drive at home, at work or at school. It’s fun and easy to do. By holding a Blue Lamington Drive Australians will help raise awareness among colleagues, family, friends, neighbours, schools, professionals and the wider community of the dangers of asbestos when renovating or maintaining homes. And, in collecting donations, will raise vital funds to support essential research into asbestos-related diseases including mesothelioma, an incurable cancer that can develop as a direct result of exposure to asbestos fibres.